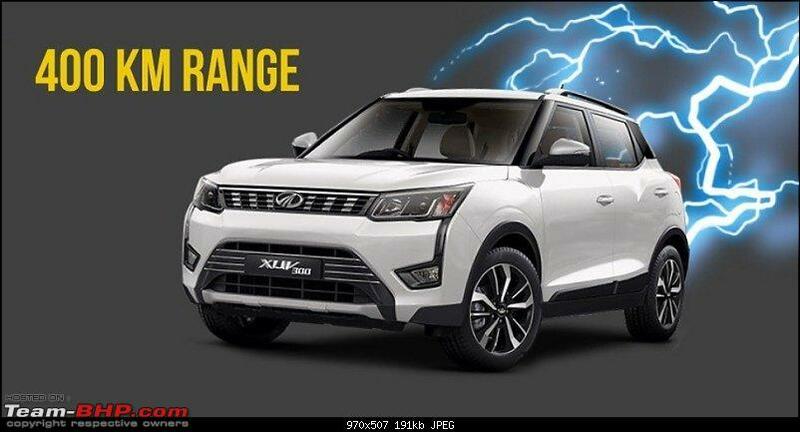 Mahindra XUV 300 Electric gets the S210 codename. 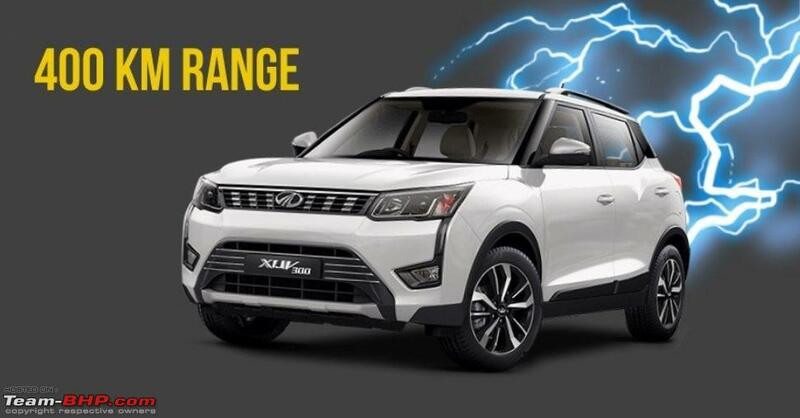 The upcoming XUV 300 EV will be available in two different versions – Standard Range and Long Range. The Long Range version will get the 350-400 km range while the standard version will get the 200 km range. Mahindra and LG Chem have collaborated to create advanced and futuristic Li-ion batteries exclusive for the India application. Mahindra and Tata should start reporting the battery capacity in KWh instead of voltage and current values. On the other hand LG Chem is good choice for battery by Mahindra. I hope India adopts USA's EPA system for official range measurement of EVs. EPA is closer to real world range. Europe's new system (WLTP) is more optimistic than EPA range. Older NEDC system is even worse. Thanks for sharing, JS Kwt! Moving your post on the electric variant to a new thread. I hope they also give us a longer vehicle. They should put back the vehicle in its original size when they do the electric avatar. Would encourage more people to use and drive for some longer distances. Interesting development. Both the expected battery packs make the vehicle very realistic for regular use. Hope Mahindra deliver a "finished" product, not one that they use to get into the market and figure out how to get better. The XUV300 is a very practical car (unlike the E20 for eg.) so coupled with a realistic (even if it is 200kms) range, it will be a competitive offering. This is good news. Hope Mahindra will incorporate a swapable battery design, for extending the range without having to wait for a re-charge. A standard battery pack(fixed) + a booster battery pack that can be swapped at "battery stations". Also wishing that these car companies work in synergy to ensure the charging infrastructure or even the batteries are compatible. The govt or the ARAI should play a role here. So the XUV 300 is supposed to be second best only to the Teslas. Well if they can achieve it, hats off to them. But I would not bet my money on them. It could be that the 400km range is a bait and could be priced ridiculously high. The 200km one would be possible I guess. Would love to own an electric car someday. What we need right now is low cost EVs that can cover the daily mileage of cabbies with AC on, say 250 km with AC on. This makes the most sense as the extra upfront cost/monthly payment will be more than covered by the savings in fuel and it makes the drivers life that bit better by not having to fight with manual gear and clutch. Also, they have much less down time in regular maintenance. We don't need private EVs until a good percentage of shared mobility is converted. Just like with CNG, it'll be a start even if they convert all buses as well as cabs (including OLA / Uber etc) to EV. That'll get the ball rolling for the wider base of private cars converting to EV as well. Keenly awaiting this 3OO in EV guise. Will also bring AT convenience to the 3OO package. This is very good news. A decent range main stream EV is long overdue for the Indian market. Hope this launches as per schedule. I see a lot of potential and scope for this EV. Hopefully will set the stage for more rollouts. You missed out on the Koreans. The Hyundai Kona, Kia Niro, Hyundai Ioniq EV and the new 2020 Kia Soul EV are one of the most efficient EVs in the market. They come with 39 or 64 kWh batteries, and real world range for a Kona in summer is 450 km.